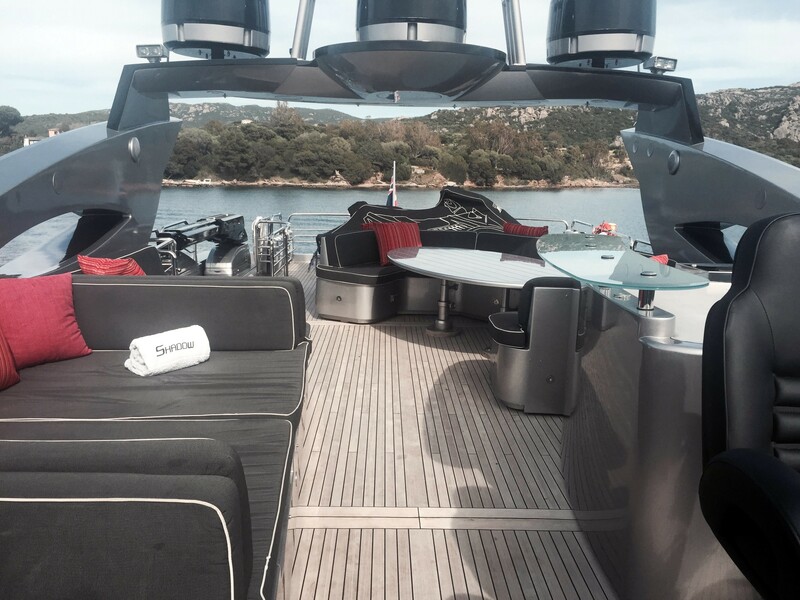 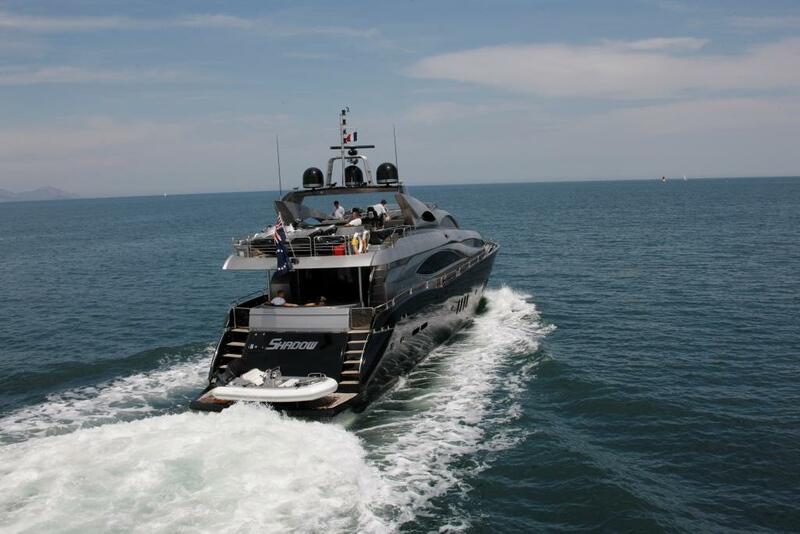 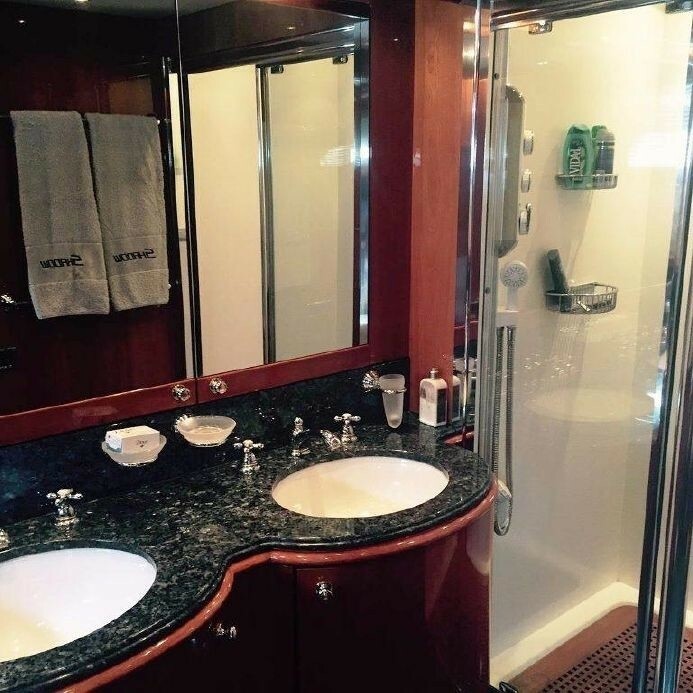 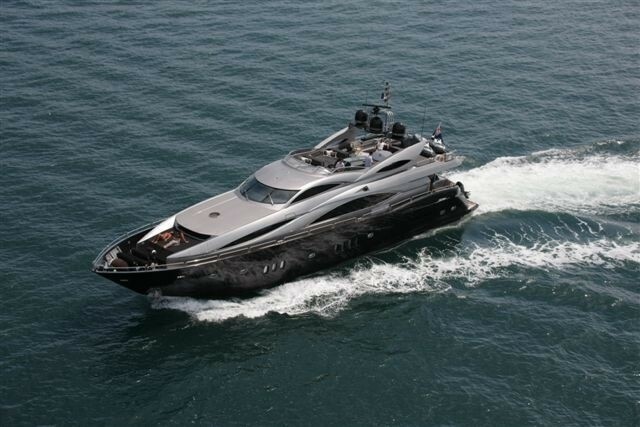 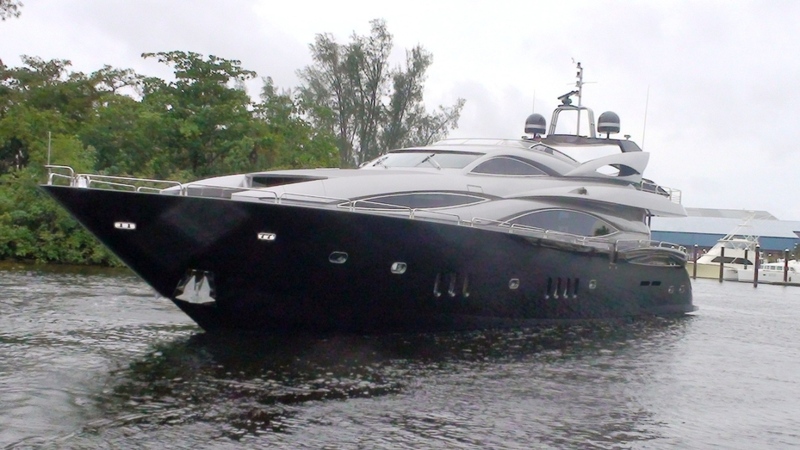 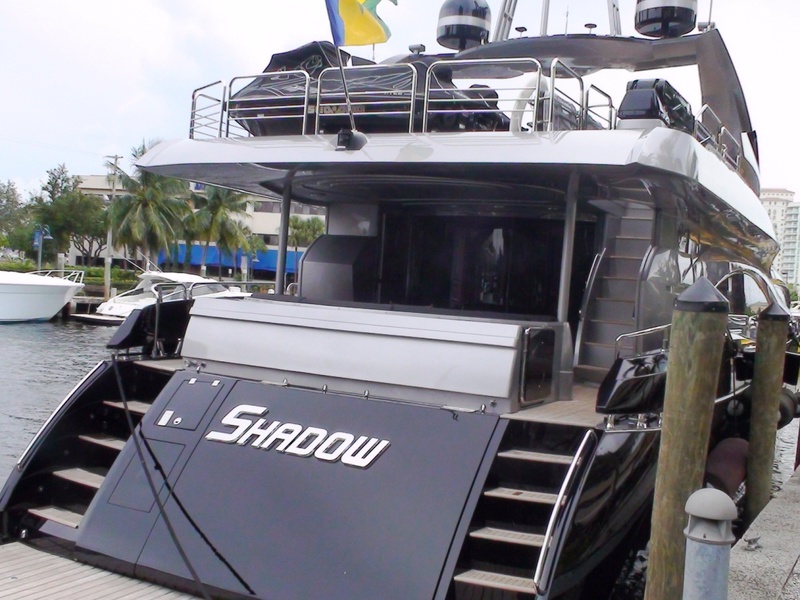 SHADOW is a Sunseeker 105 motor yacht which was launched in 2005. 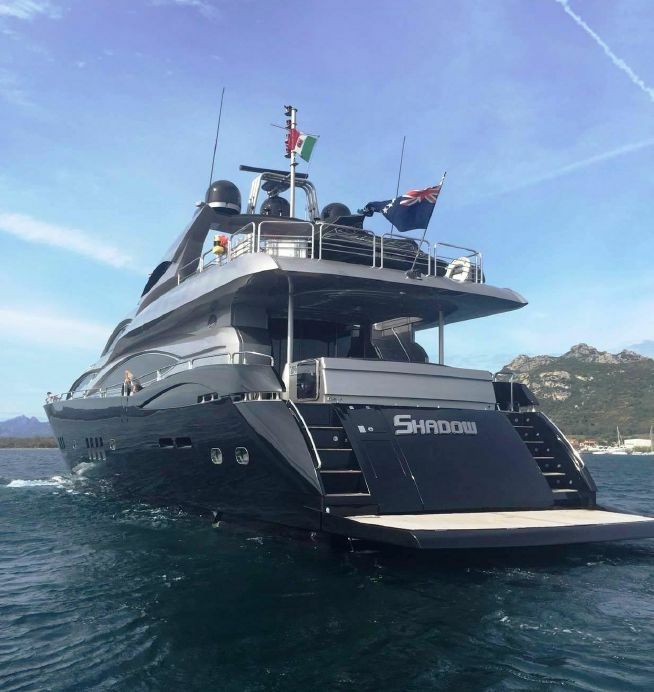 This superyacht is 32 meters in length and can provide luxury accommodation for 8 yacht charter guests in 2 double cabins and 2 twin cabins. 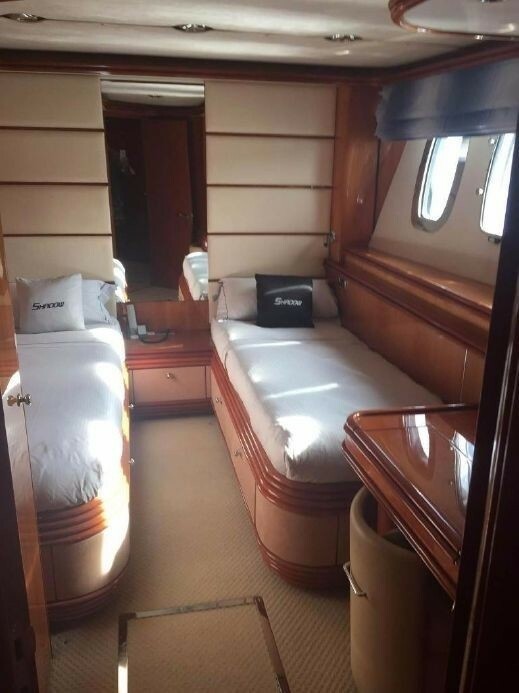 She is available for charter in the Mediterranean and Bahamas and can cruise at a speed of around 20 knots using, twin MTU V16 2000hp engine, with a maximum of 12 passengers aboard. 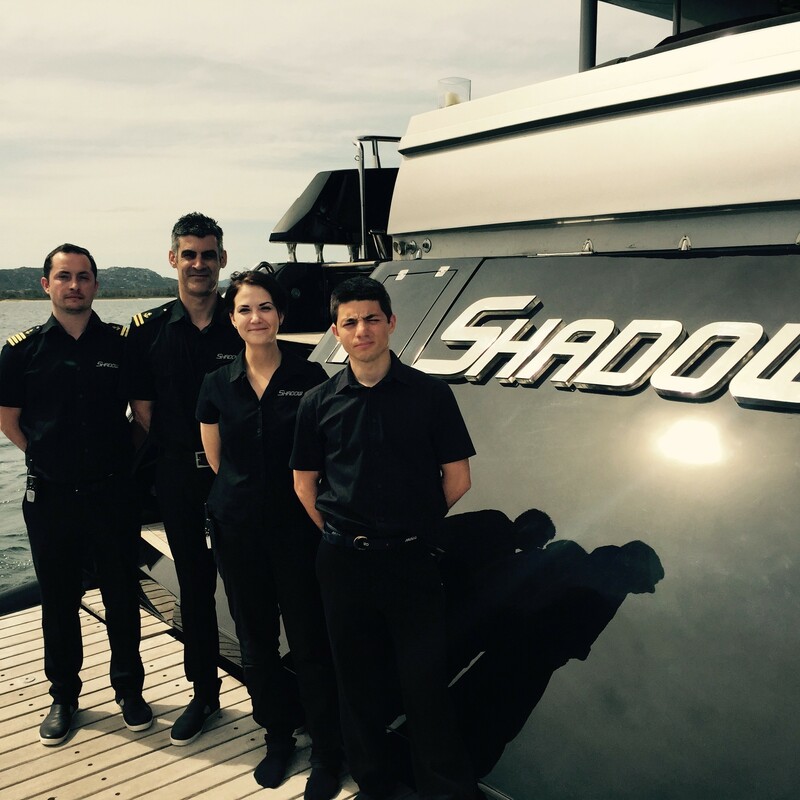 Please note that the main image above is SHADOW'S sistership, which is a different colour. 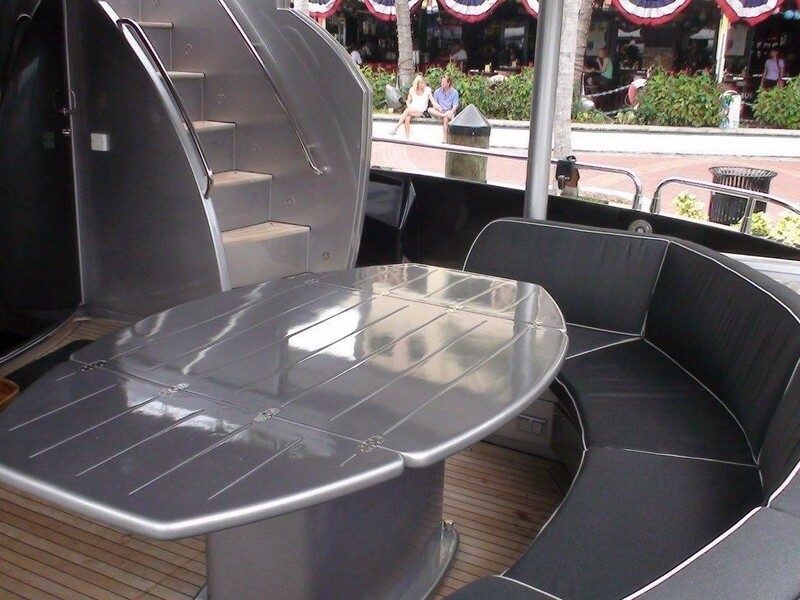 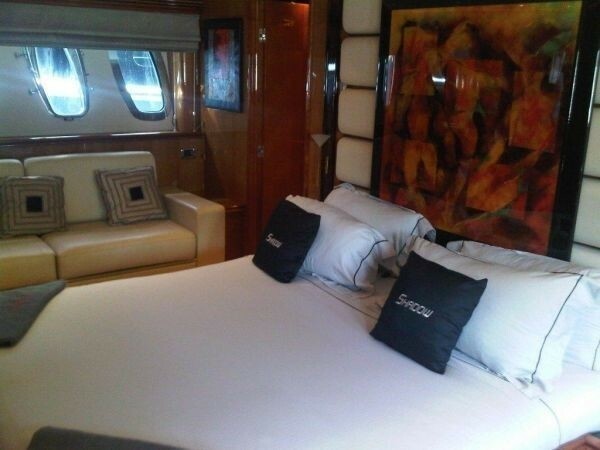 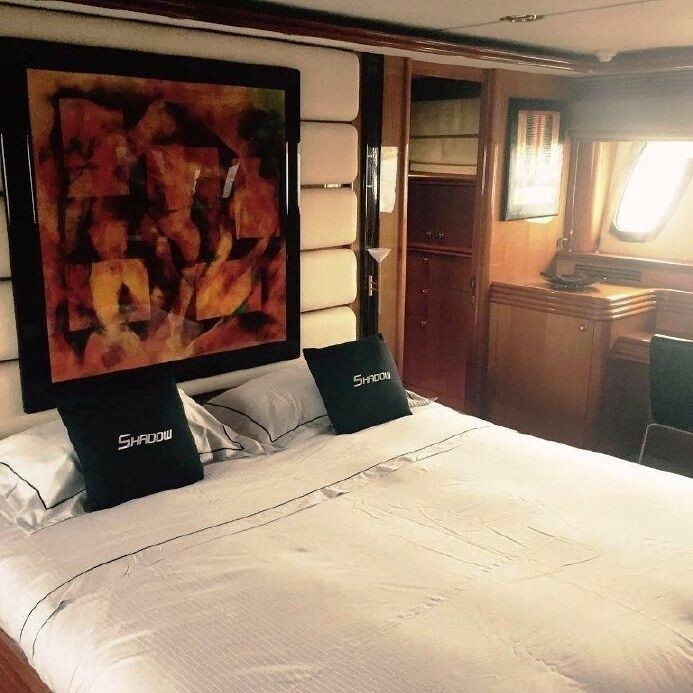 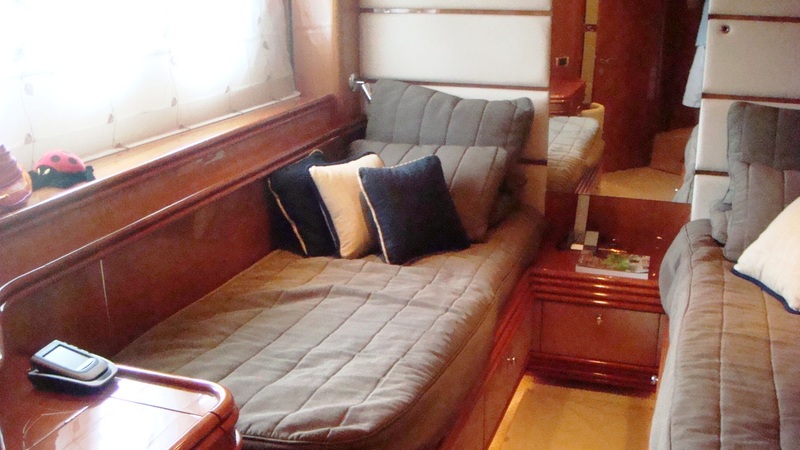 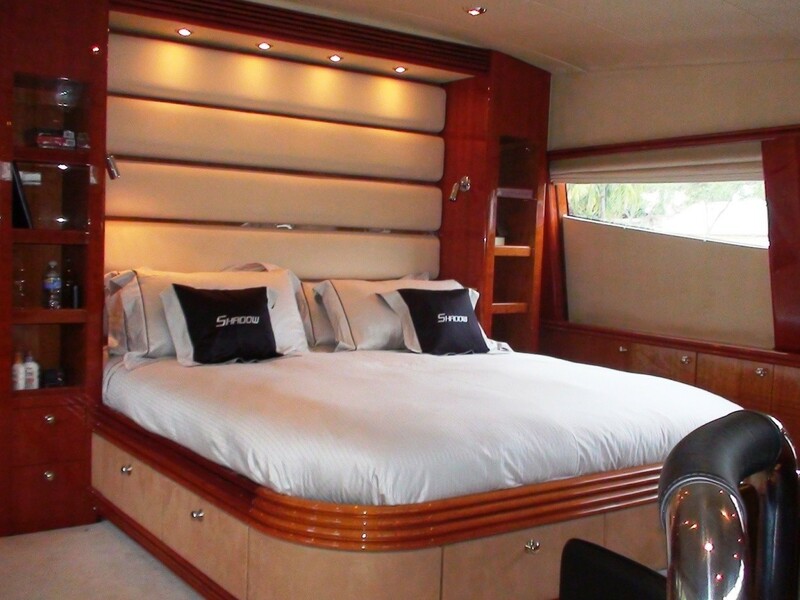 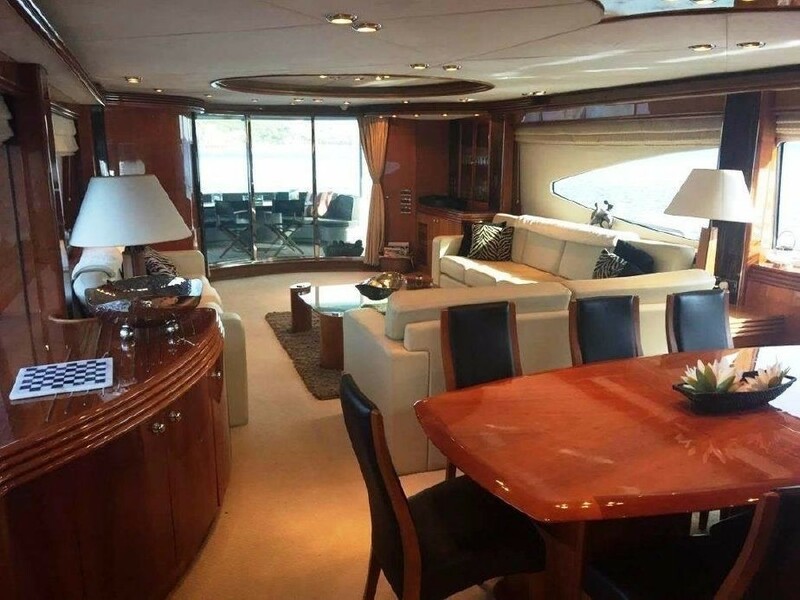 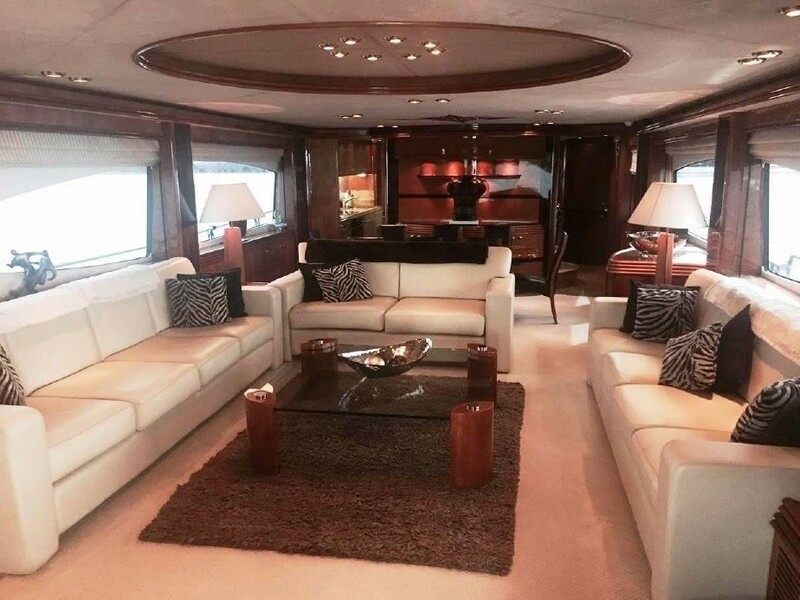 Motor yacht SHADOW has a contemporary interior styling using soft and natural tones. 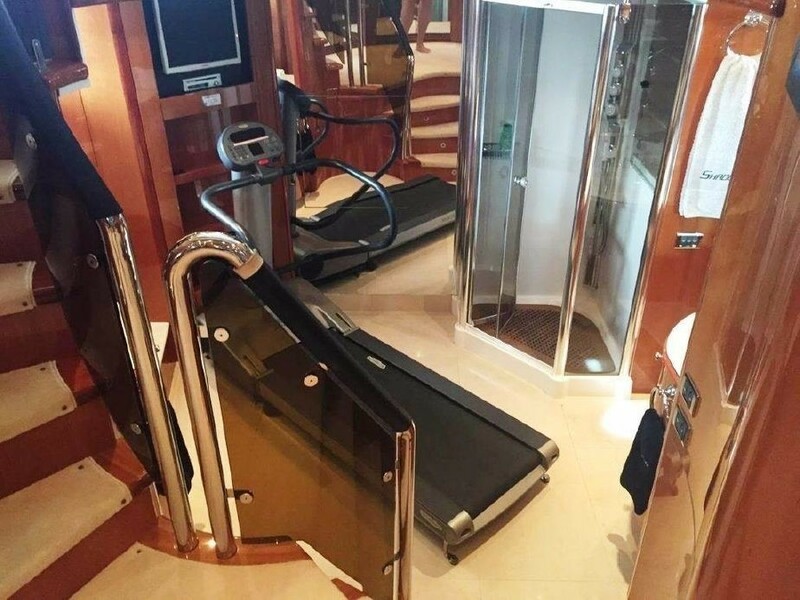 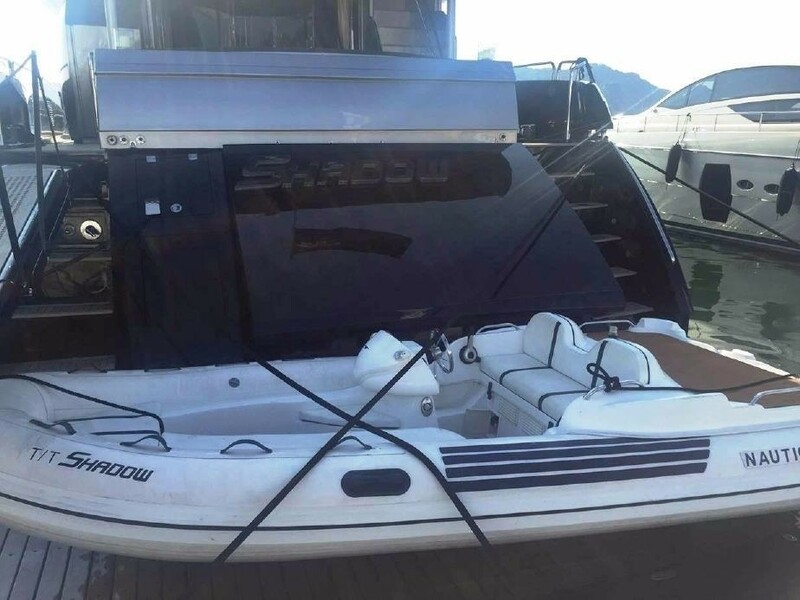 She also comes with 2 jet skis and seabobs for water sport fun. 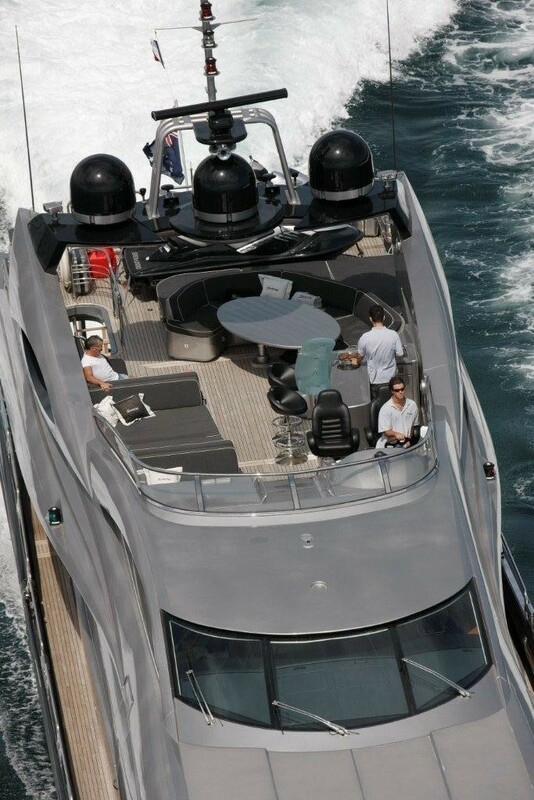 The Sunseeker 105 yacht was the winner of the International Superyacht Society Design Awards. 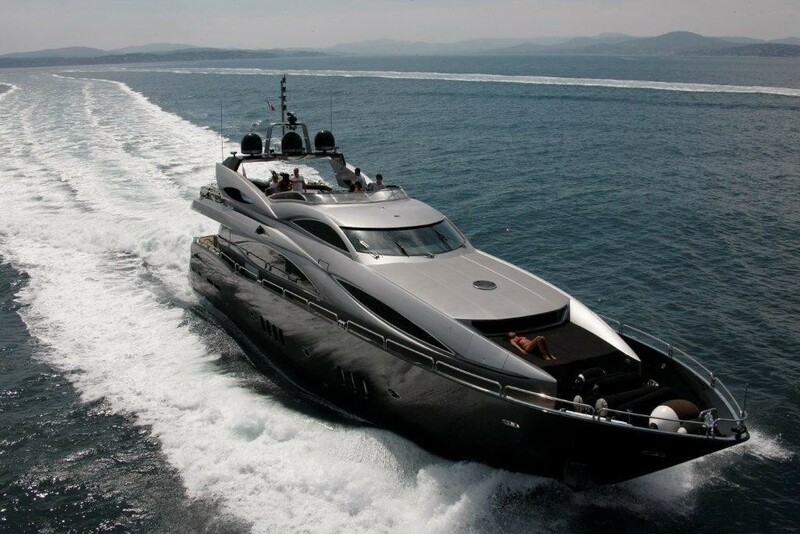 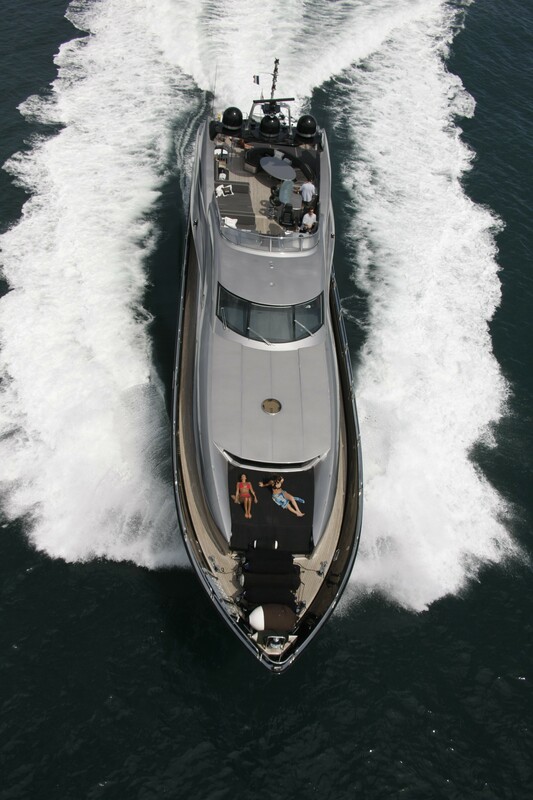 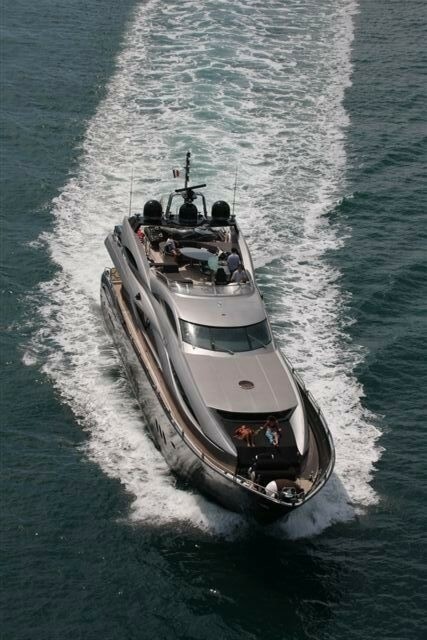 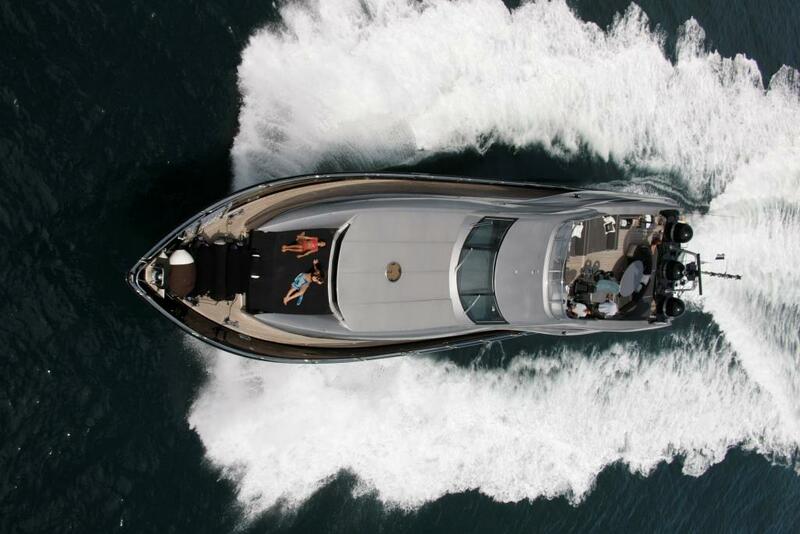 The 105 is regarded as being very innovative for a genuine departure in the design of luxury motor yachts. 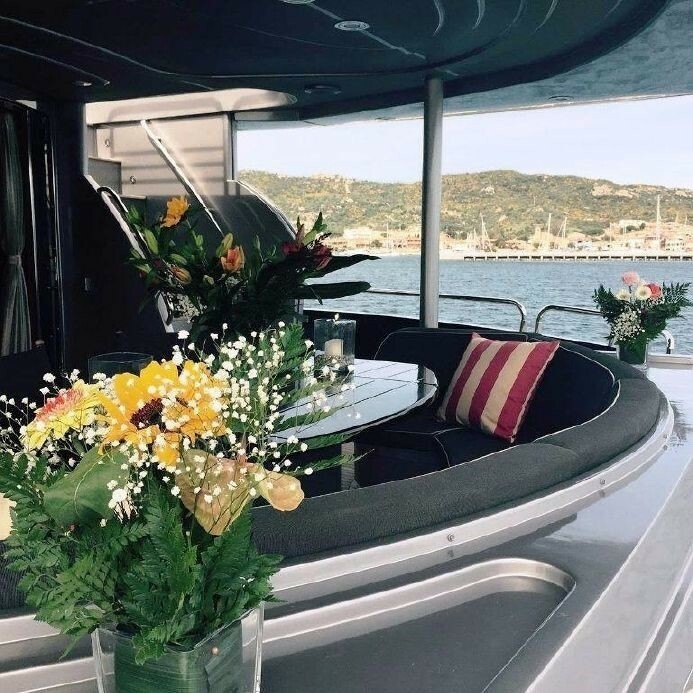 The outstanding capabilities of the 105 Yacht are in large part due to the extensive support systems it utilises - and the reliability assured by. 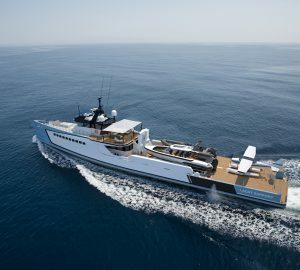 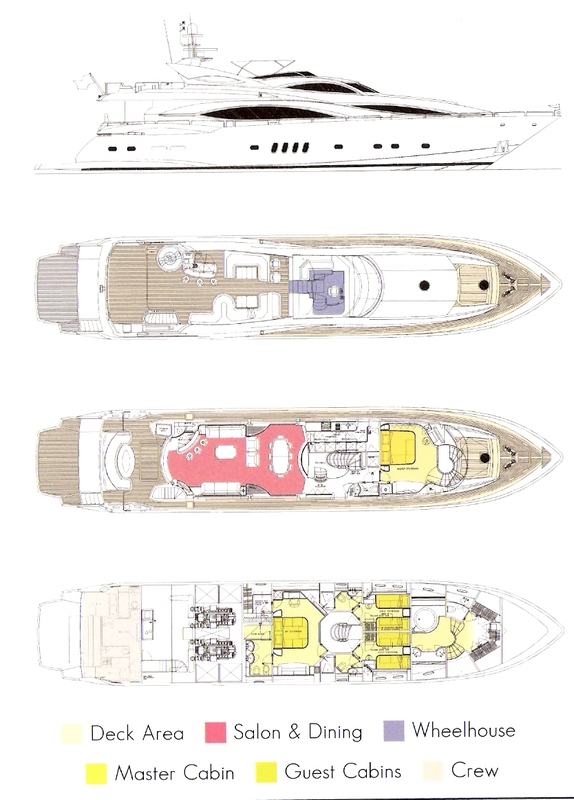 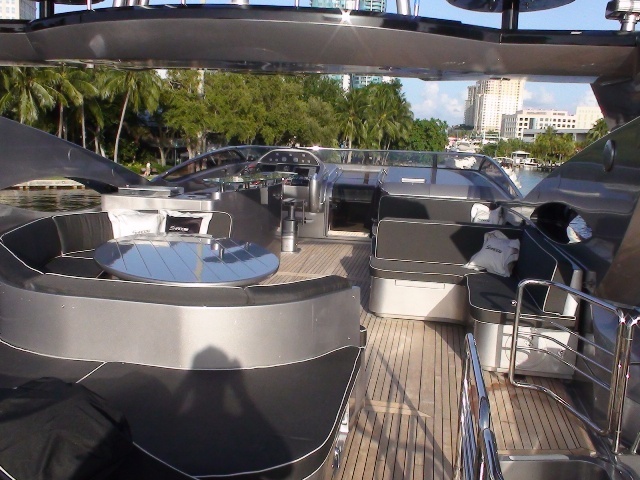 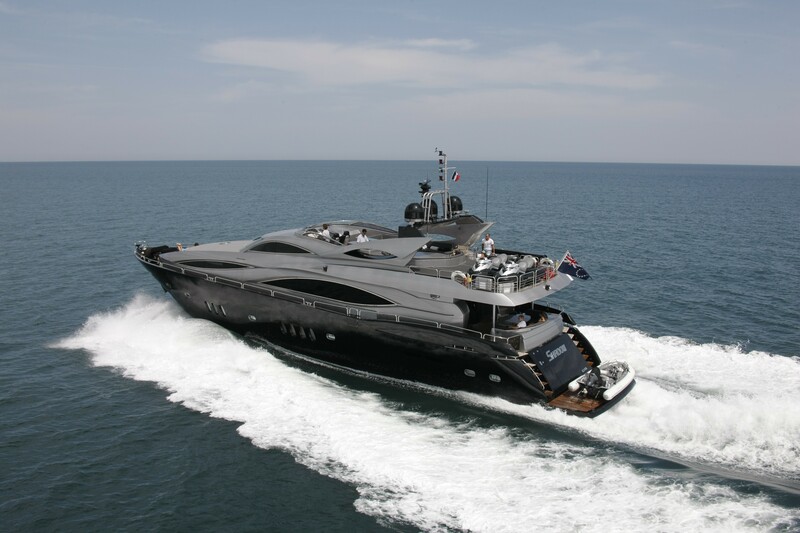 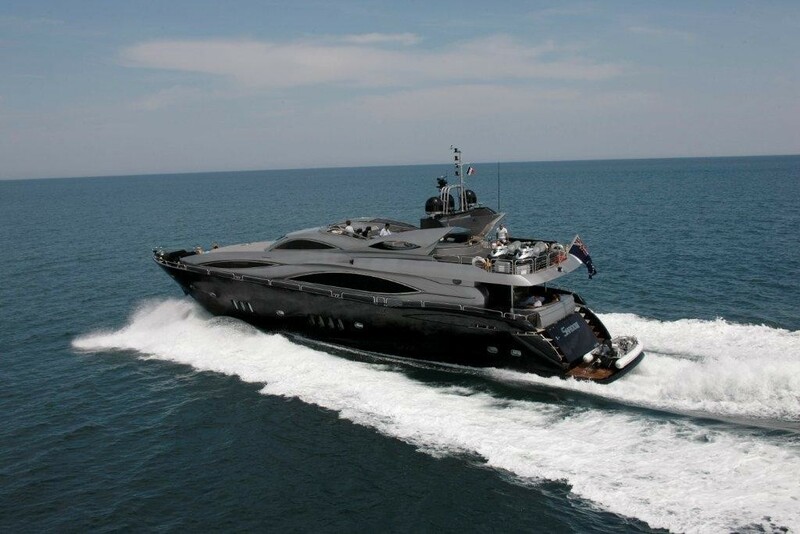 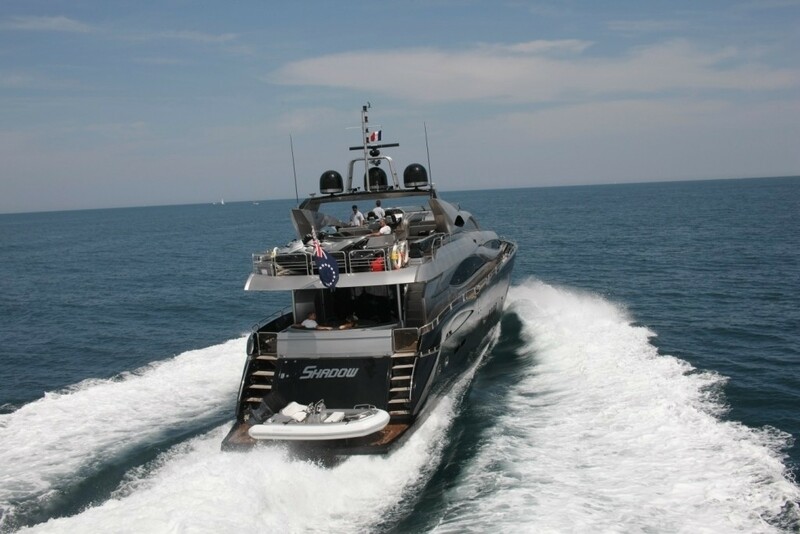 Using proven production yacht technology motor yacht SHADOW includes the advanced use of hydraulics, stabilizers, computer controlled generators and electrical systems.